In 1998 and early 1999, many American motorists reveled in gasoline priced below 90 cents a gallon and crude oil as low as $10 a barrel. Despite a steady trend upward in oil imports, the country’s dominant transportation fuel seemed to have disappeared as a major national concern. Complacency about the risks of oil dependence became so prevalent in the 1990s that a Democratic president and a Republican congress joined in a bipartisan agreement to sell oil from the nation’s Strategic Oil Reserve as a tactic for balancing the federal budget, to cut the monitoring of oil markets at the Energy Information Administration, and to ban the Department of Transportation from even studying improvements in auto fuel efficiency standards. What has happened between then and now to bring the price of gasoline to levels approaching $4 a gallon and crude to over $100 a barrel? Why are we now no longer complacent about, as President George W. Bush called it, “our addiction to oil”? As usual, there is no simple answer, but there are answers. For starters, the extremely low prices near the end of the twentieth century provoked a revitalization of the Organization of Petroleum Exporting Countries (OPEC). OPEC lost much of its clout in the world oil market in the 1980s, and members like Venezuela were during much of the 1990s encouraging private investments that would lead to higher production and a busting of the OPEC production quotas. But an OPEC meeting in March of 1999, called to deal with low prices and prodded by Venezuela’s new leader Hugo Chavez, reaffirmed its commitment to resist major investments in exploration and development and to retard production in the countries with the greatest oil reserves in order to allow the cartel to reap higher prices per barrel. Adopted initially as a defensive move, OPEC’s new discipline in limiting supplies proved to be even more successful in pushing prices to previously unthinkable levels than originally intended. As an additional impact on the world oil market, the dawn of the twenty-first century brought a substantial expansion of the automobile culture beyond the limited number of countries that had dominated world oil demand in the past. An important tipping point occurred with the entrance of China into the World Trade Organization in 2001. As a price of membership, China was forced open its market to competition from foreign automobiles. Appealing new imports forced Chinese manufacturers to lower their prices and made new, less costly vehicle options available to an emerging population of Chinese drivers. Around the world, economic expansion has been following the Chinese model and allowing previously impoverished people to make the move from walking to bicycles to motor scooters to cars. All of this is taking place in countries with large populations, which sharply increases the global demand for private automobiles and for the oil needed to propel them. To add to the tightness of the world market, the reliability of oil supplies from exporting nations, never a sure bet, became even more questionable. The liberation of Kuwait in 1991 demonstrated the ability of the United States to execute a clear mission in the Persian Gulf and protect strategic oil supplies. By contrast, the invasion of Iraq in 2003 did not follow the American script. Planners of the war foresaw an increased exploitation of Iraq’s great oil potential that could transform the world market. Yet it was not until 2011 that Iraq returned to the level of production when Saddam Hussein was overthrown. In addition, trouble spots around the globe like Libya, Nigeria and Southern Sudan periodically suffer interruptions in supplies due to political turmoil. At present, major world importers are trying to block Iran’s oil from reaching the world market to force compliance with international norms on nuclear proliferation, and markets must account for the fear that Iran might retaliate against other oil suppliers in the region. Uncertainties about unstable oil-producing regions – whether real or imagined – extract a premium on oil prices. The increased “commoditization” of oil in global trading venues also affects drivers at the pump. When traders borrow money to purchase oil as an investment rather than actually use it, the likelihood of wild swings in prices increases (the volatility effect). Though official investigations over the years have failed to find much evidence of market manipulation, the treatment of oil as an investment most likely does push prices higher, particularly when interest rates are low. New technologies in oil and gas extraction are currently helping to keep very high oil prices from going even higher. Advanced seismology is pointing to extremely prolific wells off the shores of several continents, and hydraulic fracturing combined with horizontal drilling is making it economical to produce oil from voluminous shale formations on shore. 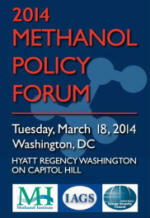 Even the boom in natural gas yields liquids that add to the transportation fuel supply. 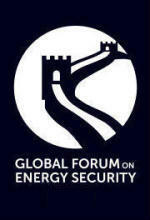 Hydro fracking technology will in the coming years likely become a growing world-wide phenomenon. There are also positive trends in the demand for oil products in many countries around the world. Europe has created incentives for more efficient diesel cars. The United States is putting in place aggressive mandates for auto fuel efficiency and displacing more oil with biofuels. China’s leaders clearly realize they cannot allow the use of inefficient private automobiles to grow unfettered. Current energy policies will not lead to a decline in global oil demand, but they will provide some constraints on growth. These positive trends are helpful, but unlikely to reverse the momentum toward higher energy costs. Prices will swing up and down, but the world will be a different place as it moves from 6 billion people in the year 2000 to 8 billion in 2025 and as the dream of a private automobile spreads to countries all over the world, beyond the select few developed nations that used to dominate world oil demand. The United States will have to adapt to higher oil prices. The next generation of workers, for instance, may chose to avoid high commuting costs by giving up some square footage to live closer to their work places. Grandparents may Skype more and fly less to see grandchildren. But these market responses should not encourage policymakers to adopt a passive approach to oil markets. Over the long term, intelligent policies can alleviate the worst case scenarios on prices and address the very legitimate concerns about the impacts of tight oil markets on the economy, national security, and the environment. Both U.S. balance of payments and national security benefit from encouraging an expansion of domestic oil production, ramping down of demand, and greater use of alternative fuels. U.S. policies in these areas may lead to the adoption of similar policies in other countries – who do not enjoy being preached at by the United States but do pay careful attention to what we do. Likewise, expanding the Strategic Petroleum Reserve (only when prices are relatively low) and adopting better policy guidance for its use would put the country in a stronger position during emergencies and encourage others to do likewise. Government and industry policies that lead to drilling safe wells protect the environment, but also help domestic production avoid breaks in expansion due to major accidents. Using fuel more efficiently helps reduce dependence on foreign oil and slows the accumulation of greenhouse gases. Though many aspects of a sensible energy policy are in place – particularly after the Energy Independence and Security Act of 2007, the big gorilla of policy questions remains whether the United States should or can pass a gasoline tax. Economists of both liberal and conservation persuasions have often advocated the gasoline tax as a rational way to deal with the “external costs” of oil (such as the health impacts of pollution and the costs of military forces protecting commerce in the Persian Gulf) that meshes well with market incentives. After the Arab oil embargo of 1973-1974, a leading champion within the government for gasoline taxes was William Simon – President Richard Nixon’s energy “czar,” later Secretary of the Treasury for Nixon and President Gerald Ford, a convert to the economic philosophies of Milton Friedman and F.A. Hayek, and a hero of the conservative movement. Simon believed such taxes could be an effective measure to reduce threats to the national economy and the national security and, at the same time, a way of avoiding more onerous interventions by the government. With different rationales, Presidents Dwight Eisenhower, Ronald Reagan, and George H.W. Bush all signed off on moderate increases in the gasoline tax to finance the national transportation infrastructure, including the building the interstate highway system. Yet the type of gasoline tax favored by Simon was overwhelmingly defeated in the congress under both Ford and President Jimmy Carter. President Bill Clinton was able to get a very scaled-down version of his oddly named BTU tax in 1993 as part of a deficit reduction passage, but the political scars for the administration and legislators who supported it were deep. Gasoline taxes can be an efficient mechanism for reducing waste of energy and, potentially, shifting the tax burden away from employment. Yet for a long-time, the issue of such levies has been tabled due to fears of fierce political opposition. As a result, the existing taxes on gasoline to support highway construction have fallen when controlled for inflation. Legislators at the state and national level either accept the decline of the national transportation infrastructure, shift the burden from gasoline taxes to general revenues or add to the federal deficit. The ferocity of the of the anti-tax attach machine can be seen in the harsh criticism of Stephen Chu, who before his nomination as President Barrack Obama’s Secretary of Energy expressed the view that the United States would have to tax gasoline at the levels of Europe. Rather than engage Chu over the wisdom of energy taxes, his critics imply he wants high energy prices, even when they are caused by rising global demand and a producers’ cartel. Taxes (where the money can be used in the United States for rebates, budget balancing, or infrastructure) is a different matter than a tight global energy balance (that leads to the outflow of U.S. dollars, some of which goes to countries with ties to terrorism). An effort to conflate the two does a disservice to an intelligent debate over U.S. energy policy. It may be viewed as naïve to believe that a gasoline tax might be added to the arsenal of U.S. energy policies, especially in a time of high prices. But it would have been considered naïve in the late 1990s to believe that the country would now be enjoying its third straight years of rising domestic oil production and adopting policies that would lead to new cars averaging 55 miles per gallon in the year 2025. Whether or not we have the political will, we do have tools are our disposal that will allow us to maneuver successfully in a world with tighter oil supplies and higher oil prices. In a time of pain at the pump, the basic principles of a successful energy policy are simple and have not changed – reduce the waste of fuel and look for new sources. The dulcet sounds of populist sloganeering are in the air again. Political campaigns are ramping up and, with gasoline prices rising at the same time, we hear stirring speeches which claim that just a bit more drilling, just a bit less regulation, and we could immediately have gasoline back at $2.50 per gallon. Interestingly, in futures markets—where real money is on the line and naïve credulity can drive you bankrupt in a heartbeat—this political grandstanding is being given the weight it deserves, which is to say, none at all. With less than ten percent of current world petroleum production, and less than two percent of petroleum reserves, the United States' domestic production has shockingly little impact on world oil markets. The very advantages of oil as a transportation fuel—its energy density, stability, and mobility—mean that oil is a truly global commodity. Even if the United States makes substantial increases in the domestic production of oil, OPEC would still be in a position, with nearly 80% of world reserves, to turn down their spigots just marginally and thereby significantly restrict the world supply. But with the myopic focus on oil prices, the political debate has not put nearly enough emphasis on the most extraordinary story in the current energy landscape. In North America, in the fundamental terms of energy, oil has become a luxury product priced far higher than its energy content can justify. In contrast, domestically-produced natural gas is currently cheap and plentiful. This price divergence is especially ironic because natural gas—cleaner burning, with lower greenhouse gas emissions, and without the geopolitical vulnerabilities of oil—arguably deserves to be priced at a premium. Production techniques for tight gas have now advanced to such a degree that we have potentially entered a new era of bountiful domestic natural gas production. This gives the United States an unprecedented opportunity to significantly wean itself from petroleum. But this opportunity is, so far, being largely ignored. Note on Graph: What's depicted in the graph is the ratio of oil to NG prices. That means for each month you just divide the oil price by the natural gas price: that's what is plotted through time. This controls for the common differences in the absolute price (due to inflation, for example), currency fluctuations and the like -- so it is very useful and is a fairly common approach in quantitative economic analysis. What the graph is showing is an exponential bubble in the relative price of oil, compared to natural gas; this relative price is really the issue and much more fundamental than the absolute prices. Gasoline prices are climbing higher because, even with ethanol admixture, gasoline remains primarily a petroleum derivative. And oil, in energetic terms, is currently in the midst of an economic bubble. The term "bubble" is not used lightly. An economic bubble is caused by amplifying feedback in economic behavior that result in a typically non-linear, often exponential, departure of prices from economic fundamentals. 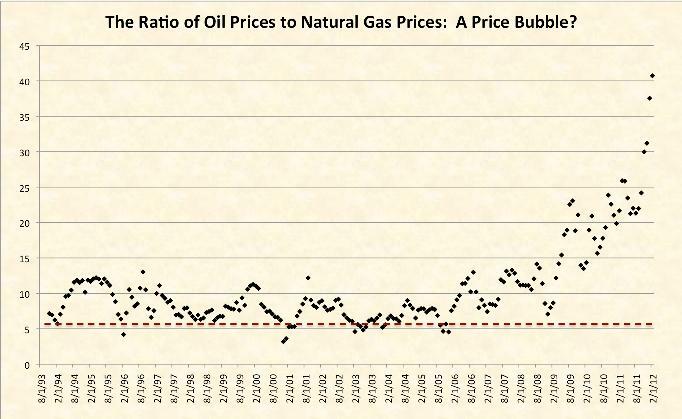 The fact that oil is in a bubble is apparent in a graph of oil prices relative to natural gas prices (above). This figure shows the ratio of oil prices to natural gas prices in the United States over the last twenty years, up to February of this year. One can immediately see that over the last three years the relationship between these two energy commodities has decoupled like never before. The precise historical data used are two widely-followed prices: the West Texas Intermediate spot price for oil, and the spot price for natural gas at the Henry Hub, Louisiana. The dotted red line shows the energy-parity price ratio. Because the standard unit for oil, one barrel, has just about six times the energy content of a standard unit for natural gas (a million BTU), if the energy content was all that mattered for the two commodities, their price ratio should hover around this number, independent of the absolute prices of oil and natural gas. Oil has historically been priced at a slight premium, on average, reflecting its higher energy density, ease and flexibility of transport, and its relatively inelastic demand as the dominant transportation fuel. But, still, until quite recently, the energy fundamentals of the two fuels was clearly reflected in their prices: the ratio of oil to natural gas was comparatively stable, with a floor around six and a ceiling around twelve. Despite large fluctuations in the absolute prices of the two commodities, for decades the relative price ratio was nearly always restricted to this envelope. But in the last few years this relationship has fallen apart decisively, even exponentially. The February 2012 ratio of over 40 means that oil is now priced at nearly a seven-fold premium to natural gas, in energetic terms. What is perhaps most surprising is that this bubble in the oil price has occurred at the same time that domestic oil production has been increasing at a historic clip and while recessionary domestic demand has been weak. Those who contend that increasing domestic oil production will provide a quick fix for gasoline prices are remarkably out of touch. We have successfully raised domestic oil production, and this has failed to result in low gasoline prices. U.S. domestic oil production is up around 15% in the last three years. The last time we saw a percentage increase of domestic oil production this large over a three-year period was all the way back in 1968. The technological advances in extracting oil from tight formations are impressively successful: with extensive horizontal drilling and hydraulic fracturing we can now artificially induce permeability in geological formations that contain oil and gas but which are naturally impermeable. Yet, despite this success, we are in the midst of an oil price bubble, and the cost of gasoline has again become a major political issue. This fact is a clear demonstration of the global nature of the oil market, and the ineffectiveness of domestic production to substantially change globally-determined petroleum prices. Demand in the developing world is a primary driver for the price for oil, in concert with stingy supply increases by OPEC nations. Those who confidently claim that more domestic oil drilling will bring down oil prices (and with them, gasoline prices) are either ignorant of the data, or they are willfully misrepresenting the data. The technological advances in energy extraction are even more impressive for natural gas. Increases in domestic natural gas production have now been sustained over a five year period, and in that period total U.S. production is up over 20%. Even more remarkable is that this production increase has been in the face of fairly weak demand, and consequent low natural gas prices. Unlike the global oil market, natural gas markets are much more fractured and local. Different local geology, infrastructure, economic conditions, and political policies have major impacts on regional prices. While a growing fraction of natural gas is refrigerated at considerable expense, and transported globally as energy-dense liquefied natural gas (LNG), this remains very much the minority of world gas production. Nearly all natural gas is still consumed on the same continent where it was produced, often in the same region. This is a constraint for natural gas development, but it is also an opportunity. 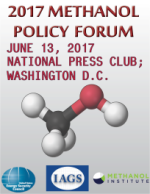 A strategic policy of continued natural gas production, increased scale and efficiency of distribution, and the development of natural gas-derived liquid fuels like methanol could assure the United States of a generation of affordable and cleaner energy. In February of this year, Tom Ridge and Mary Peters demonstrated just this sort of leadership in an opinion piece in the New York Times, calling for standardizing flex fuel vehicles and developing natural gas-derived methanol as a transportation fuel alternative. Such a policy would be inexpensive to implement, would decrease our dependence on petroleum as a transportation fuel, and would provide a market for underutilized North American natural gas. It would provide jobs, increase the value of domestic resources, decrease pollution, and make our economy less dependent on the globally-determined price of oil. Strategic leadership on energy policy is more important now than ever. Too many political actions are myopically reactive when faced with rising gasoline prices. What we need is a thoughtful and longer-term response. Without this leadership, the current oil bubble threatens to strategically weaken our energy supply. Already, the economic incentives of high oil prices are diverting our attention from developing the cleaner, more abundant domestic natural gas supplies of the United States, and blindly following these short term economic incentives plays right into the hands of OPEC. Just five years ago, in March of 2007, over 80% of the drill rigs in the U.S. were drilling for our relatively abundant natural gas, while the remaining rigs, less then 20%, were targeting our less abundant oil. What a difference five years makes. As of last week, only 33.4% of the rigs in the U.S. were targeting natural gas, while fully two-thirds of drilling rigs, responding to the economic incentives of the oil price bubble, were targeting our dwindling oil. As I noted in a past article, this same diversionary switch, from a steady focus on natural gas back to a monomania for oil, happened when petroleum prices spiked in the nineteen-seventies. Oil companies certainly made large profits by doing this, but their preoccupation with oil was a strategic failure. The economic incentives meant that the exploration and production of our more abundant natural gas was neglected, and the overall result was no net increase in total domestic energy production. What the United States gained, instead, was more decades of continued vulnerability to global oil prices and increased energy-dependence on OPEC. With less than 2% of global petroleum reserves, the U.S. simply has insufficient leverage in global oil markets to secure its own energy supply, or to assure energy affordability. But, in terms of natural gas, energy-independence is already a reality. Nearly all the natural gas consumed in the U.S. is currently domestically produced, and the small imported proportion is almost entirely from Canada. Natural gas also has much greater potential for increased domestic production compared to oil. In fact, natural gas is currently so plentiful and so cheap in North America that producers are now flaring it off as a waste product—burning it for no useful purpose, rather than collecting it and selling it as fuel—at twice the rate that they did just ten years ago. Even a project as big as the Keystone oil pipeline would do little to change our dependence of foreign oil, and almost nothing to lower world petroleum prices. In contrast, the proposed natural gas pipeline in Alaska could help assure affordable natural gas prices in North America, and could even transform the United States into a major natural gas exporter. For the United States, energy independence through increased oil production is a mirage. 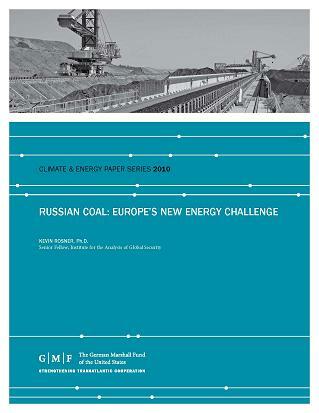 Those steering energy policy need to know the difference between mirages and real solutions. Natural gas is not a magic bullet, but along with increased efficiency, renewable resources, and strategic stockpiling, sustained natural gas development can play a major role in providing competitive alternatives to oil, increasing fuel flexibility and competition. The neglected natural gas resources within its borders could effectively reduce the dependence of the United States on an energy source like oil, which is largely produced, consumed, and priced outside its borders. When in December 2008, 60 Minutes correspondent Lesley Stahl asked Saudi Oil Minister Ali al-Naimi how much it cost Saudi Arabia to produce one barrel of oil, he didn't blink: "Probably less than $2 to produce a barrel." If it costs only $2 to produce a barrel of oil, then why do we pay over $105 a barrel? Wall Street, Big Oil, President Obama, the Fed, environmentalists, the EPA have all been accused of pinching hardworking Americans at the pump. But there is a much more important player that gets much less attention: OPEC. Members of the oil cartel sit on top of nearly 80% of the world's conventional crude reserves. Yet they account for only a third of global oil production. We need oil now more than ever. In the past three decades, global oil demand grew 45%. During that same time, OPEC's production increased by merely 19%, despite the fact that two new countries (Angola and Ecuador) joined the cartel during that time. Clearly, OPEC could produce more oil if it wanted to. But it won't. The reason is that OPEC countries produce almost nothing but oil. Their population is growing by leaps and bounds, and because Saudis pay no income tax, the House of Saud will need more and more money to keep its citizens happy, and avoid the fate of toppled leaders in Libya, Egypt and elsewhere. Since the beginning of the Arab Spring, Saudi King Abdullah almost doubled his Kingdom's budget, committing billions in subsidies, pensions and pay raises in an effort to keep his subjects from storming the palaces. This expensive response effectively raised the price of oil needed for the Saudis to balance their budget from under $70 a barrel before 2011 to at least $110 a barrel by 2015. Like it or not, the bill for keeping the Persian Gulf monarchies in power is now being footed by every American. Every time we fuel our car we send an extra 35 cents per gallon, or roughly $6 per fill up, to the Save the King Foundation. Since oil goes into everything we buy from food to plastics, this adds about $1,500 annually to the expenditures of the average American family. Paradoxically, we are forced to fund social programs for other nations at the very same time we are engaged in a heated debate about cutting social services and entitlement programs at home. It is a sad state of affairs that in the 21st century the world's most strategic commodity is still being controlled by a cartel. Cartels, by definition, exist to maximize the profits of their members. OPEC members, which last year raked in $1 trillion in oil revenues, are doing that masterfully. No amount of U.S. drilling or efficiency measures will change that. The cartel's financial needs will drive it to respond to counter moves by its clients: When we drill more oil at home, OPEC can drill less to return to a tight supply-demand relationship. When we use less, OPEC can drill less. To change this vexing dynamic, consumers must be able to substitute for petroleum by purchasing competing fuels, like alcohol fuels, biodiesel, natural gas or electricity, if they are less costly on a per mile basis. But as long as our vehicles are able to run on nothing but oil, keeping oil monarchs on their throne will remain our national side job. Gal Luft's article was originally published on NPR's Planet Money.